100% pure, undiluted Frankincense carteri Essential Oil oil in 10 ml amber glass bottle with euro style dropper. Frankincense Carteri essential oil is steam distilled from a Middle Eastern or African tree’s gum resin. It has been used for thousands of years as a spiritual incense, folk medicine and in cosmetics. In traditional Chinese Medicine, the gum resin is used for bruising, swelling, sores and pain from traumatic injuries. Frankincense Carteri has the ability to rejuvenate the look of mature skin and can be used in serums or creams for the face. It is also used as an immune system support. The properties of Frankincense Carteri make it ideal for joint pain associated with aging or overuse. Add 5-7 drops to a teaspoon of carrier oil and smooth over achy joints or add to skin rejuvenating preparations. Diffusing Frankincense Carteri oil during meditation creates a soothing, peaceful environment. Add to a favorite unscented lotion with a drop or two of myrrh or rose absolute for the friend who is grieving a loss. To guarantee continuous quality, Plant Therapy’s oils (each batch) are tested by a third party laboratory using GC/MS testing, as well as in house by an expert. This guarantees that all testing matches up and that nothing is missed. Each step of the process is overseen by an expert. 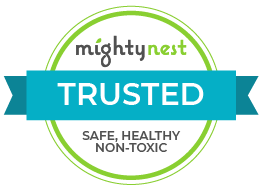 All of Plant Therapy’s oils are 100% pure, undiluted and free from any additives, chemicals or pesticides. Aromatic Scent:Frankincense Carteri oil has a green, balsamic, lemon-wood odor. Blends Well With:Bergamot, Cedarwood Atlas, Clary Sage, Coriander, Jasmine, Myrrh, Nutmeg, Orange, Pine, Sandalwood, Spruce and Vetiver. DISCLAIMERS: The International Federation of Aromatherapists does not recommend that Essential Oils be taken internally unless under the supervision of a Medical Doctor who is also qualified in clinical Aromatherapy. All cautions listed for individual oils do not include those cautions from ingestion.This statement has not been evaluated by the Food and Drug Administration. This product is not intended to diagnose, treat, cure, or prevent any disease. Plant Therapy provides oils that are 100% pure, undiluted and of the highest quality. They source each oil from top suppliers around the world, buy in large volume, and negotiate the best prices possible. We then pass those savings on to you, the consumer!